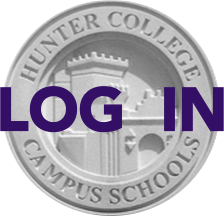 Read on for a few quick ways to get your family ready to start a new school year at Hunter. How do I check to see if my family's contact information in the directory is up to date? To access the Directory, click the "directory" link in the purple menu bar above. You must be logged in to view the directory. If you have never logged in or can’t remember how, please follow the instructions here. To edit your listing: click on #3 “Edit Directory Listing." Make any required changes and remember to press the "Click Once to Update" button. The Directory is a great source of contact information and search tool for parents to use throughout the year. For instance, if your child is looking for classmates who live nearby, you can search for other Hunter families in your zip code. By editing your directory listing, you have full control over what information other parents see regarding your family. How can I volunteer to help the PTA? • In the Online Parent Directory, go to #4 “Edit Volunteer Interests” and check off the ways you might help. • Mark the committees that interest you, as well as the skills and contacts you possess. The relevant committee chairs will be in touch as needs arise. You can find a full listing of PTA Committees and descriptions here. How can I pay my annual PTA dues? Just click this link -- or click the PTA Dues button at the top right corner of the home page -- then use a credit card to make your payment. • You can also send a check, payable to Hunter College High School PTA, to the address listed at the link above. • Each family that pays their $75/per student dues will receive a copy of our printed Family Directory, which lists contact information for students, parents, faculty and staff. Your dues are an important part of PTA fundraising, which supports student clubs, athletics, lab supplies, faculty development and much more. How can I keep track of important PTA dates and events? • A PDF of the full 2014-15 Wall Calendar is now available on the website. Directions on how to subscribe to the online calendar in your iCal or Google Calendar can be found here. You may want to bookmark these links for future reference. Who should I contact if I have questions throughout the year? Each grade has an Executive Rep, an elected grade representative who attends PTA board meetings, coordinates grade events, and sends out information to their grade.There is a full listing of grade reps, PTA Board members. and Commitee Chairs here.